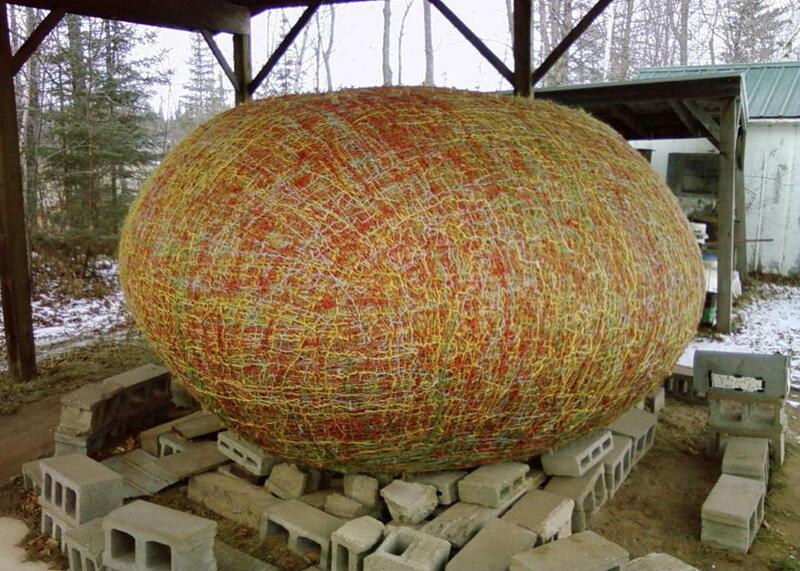 The world’s heaviest ball of twine can be found in Lake Nebagamon, Wisconsin. The United States is filled with controversies but none quite as quirky and bizarre as the debate over who holds the world record for the largest ball of twine. Both Darwin, Michigan, and Cawker City, Kansas, claim to have the largest in terms of length and width, but there is one twine ball title that goes undisputed: the world’s heaviest ball of twine, which can be found hidden in the middle of northern Wisconsin. At an estimated weight of 21,280 pounds, the world’s heaviest ball of twine was constructed by James Frank Kotera, nicknamed “JFK.” Over the past 37 years, JFK has spent tens of thousands of hours wrapping twine into a ball in an isolated house in Lake Nebagamon, Wisconsin. The few people that visit the ball of twine will be treated to a casual conversation with JFK, who will insist that he never gets tired of wrapping the twine and plans to never stop until he dies. According to JFK, he used to be a drunkard, but that all changed in 1979, when he had a conversation with God, who encouraged him to stop drinking and turn to twine. Ever since this conversation, JFK’s painstaking effort has given him the grounds to claim that, in terms of weight, he truly has the world’s biggest balls.